Small tumbled Nephrite Jade pieces in mixed sizes. Gorgeous green Nephrite Jade tumblestones measuring between 10-30MM across. 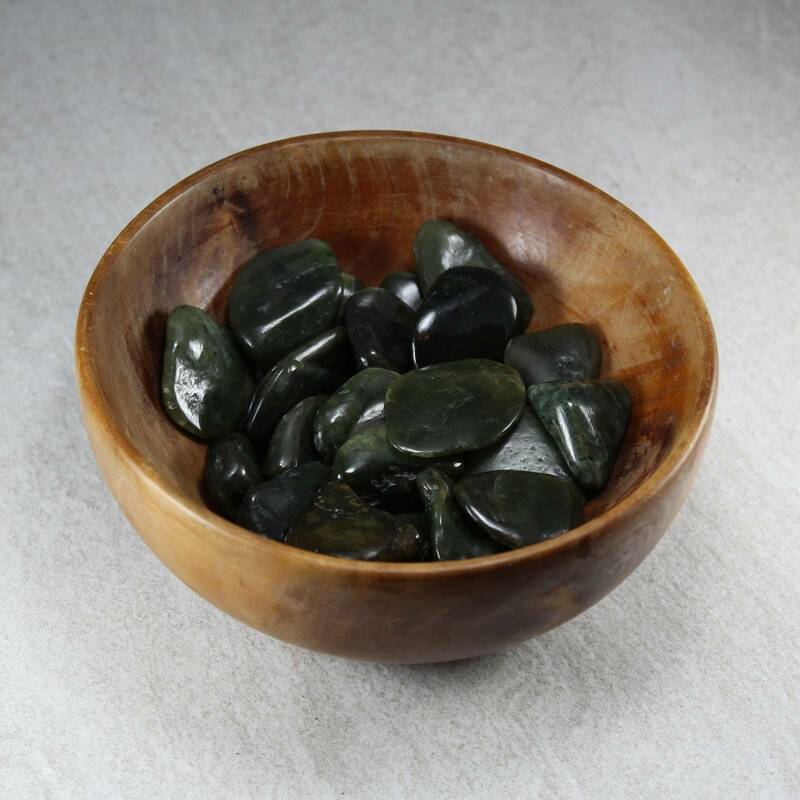 Please note that these are Nephrite Jade, not Jadeite, or ‘New Jade’ – aka Serpentine. These are mixed sized stones, tending towards the longer side. However, these are quite flat pieces, not rounded. Because of their lovely green colours, they will suit a ‘natural’ themed display quite nicely. I keep some around the top of a plant pot personally. They look great in a glass vase or in a wooden bowl; perhaps even in a fishtank or aquarium; vivarium or terrarium. 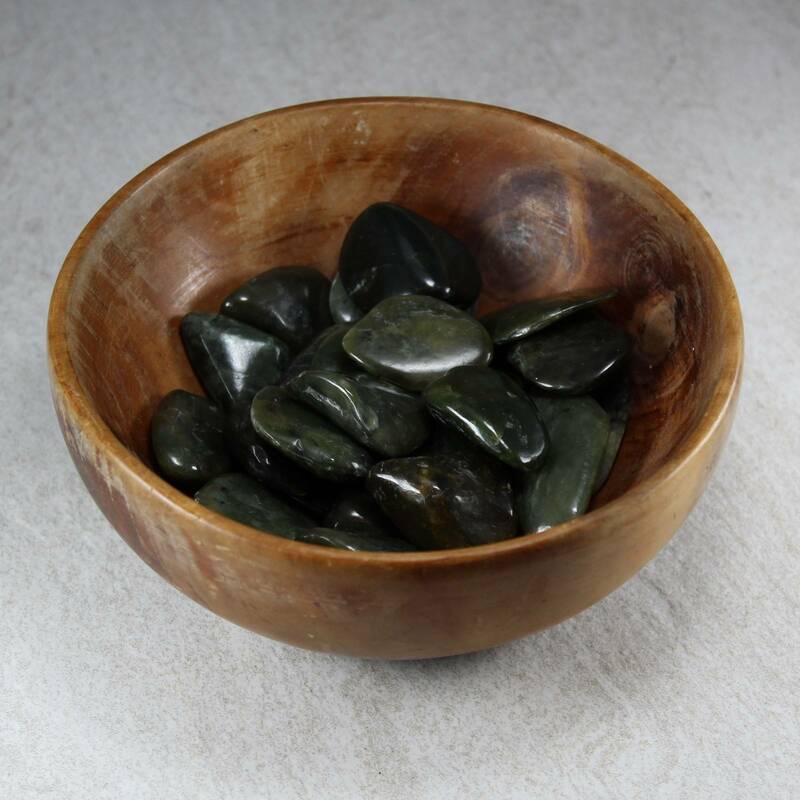 For more information about Nephrite Jade, and a full list of all of our related products, please see our main ‘Nephrite Jade’ page. 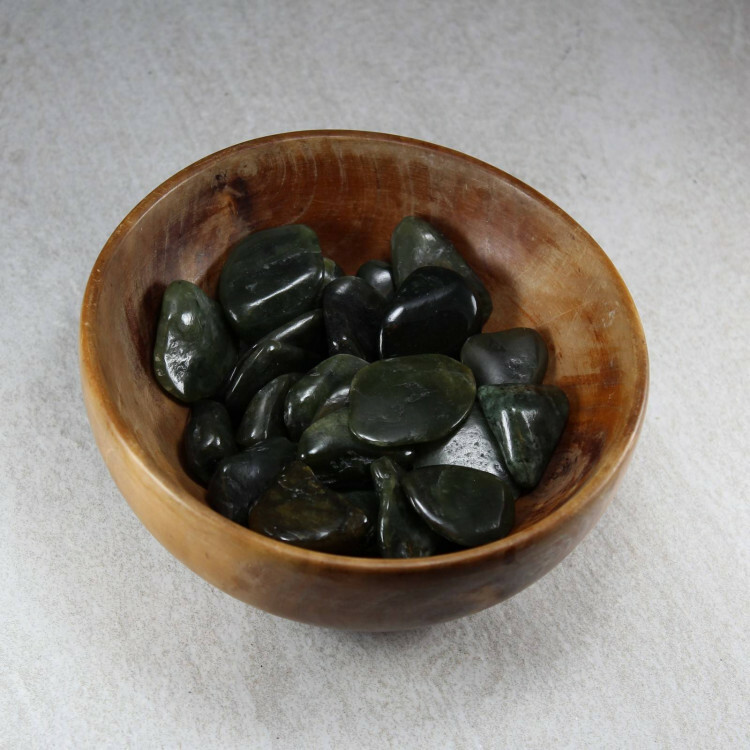 We do also sell a wide range of tumbled pieces, not just Nephrite – see our ‘tumblestones’ section for a full list.